Budesonide is an anti-inflammatory corticosteroid . 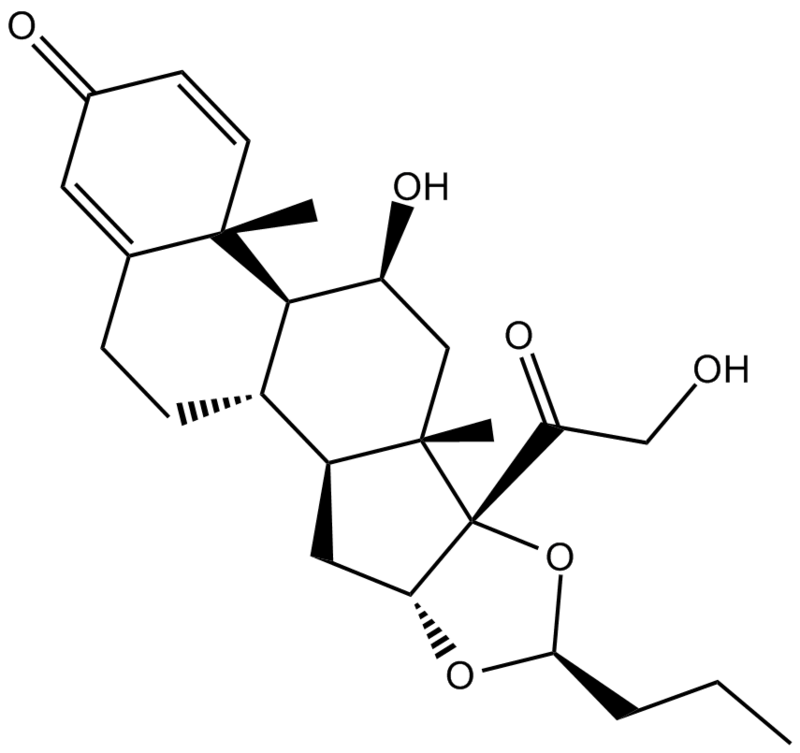 Budesonide has shown the potent glucocorticoid activity and little mineralocorticoid activity. In addition, Budesonide has been reported to have a wide range of inhibitory activities against multiple cells types and mediators involved in allergic and nonallergic-mediated inflammatory. Besides, the anti-inflammatory action of budesonide has been revealed to contribute to the efficacy in asthma. Apart from these, orally inhaled budesonide has been found to be rapidly absorbed in the lungs and that peak concentration is typically reached within 20 minutes. The results have been exhibited that peak plasma concentration is achieved in about 1 to 2 h and the absolute systemic availability is 6%-13% after oral administration of budesonide .